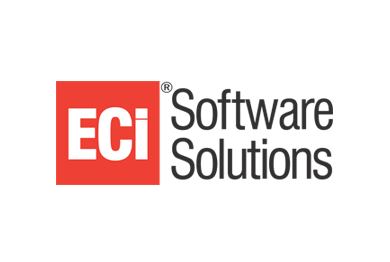 For 30+ years, ECi Software Solutions has provided industry-specific business software solutions and services to small to medium-sized organizations. The leading solution for both large and small companies, e-automate® cloud-based ERP software for service-centric companies provides real-time visibility and a 360-degree view of every area of business. From accounting, inventory, contracts, service dispatch, sales, purchasing and reporting, e-automate seamlessly integrates and centralizes all information, automates business processes and accesses business analytics to streamline business and make decisions based on actionable insights. Continuously looking for ways to help drive business efficiencies, e-automate offers a variety of integrated, add-on modules including RemoteTech™ that allows field technicians use to receive, review, and fulfill dispatched calls from almost any mobile device; DeskTech that allows phone technicians to enter, triage, process and close a ticket in a single call on a single screen; Digital Quote Manager with admin tools for managers that will allow reps to create quotes in a fraction of the time; and E-info secure web portal where customers can access account information, order supplies, input meter reads and request service calls. In addition, ECi continues to offer its print management solution, FMAudit for integrated data collection including billing, supply reorder processing, service deployment and purchasing and has recently integrated with Acsellerate, a program that combines CRM, analytics and advanced reporting to help dealers understand customer’s purchasing trends, manage leads in the sales pipeline, and monitor sales and margin opportunities.